Multiple major sailing events have been held in Annapolis including multiple class World Championships, North American and National Championships. On a typical spring, summer or fall weekend there are at least three sailing clubs running races nearby on the Chesapeake Bay. Annapolis was a stop on the Volvo Ocean race. 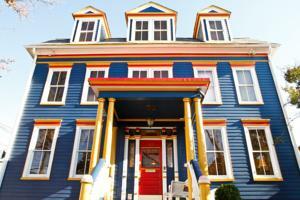 Settlement in Annapolis dates back to 1649. In addition to being the State Capital it was briefly the capital of the United States of America, during 1783 and 1784. It was an early port city on the Chesapeake Bay, predating the nearby cities of Baltimore and Washington DC (which is on the Potomac River which in turn flows into the Chesapeake Bay). Downtown Annapolis is full of older buildings, many of which house restaurants, pubs/taverns, coffee shops, galleries, and ice cream stores. Originally being a port, all of downtown Annapolis is on or very close to the water, just across Spa Creek from Severn Sailing Association. The Eastport area is more residential than downtown Annapolis but also has several very good restaurants and the best sailor’s bar in the USA, all a very short walk from SSA/EYC. Greek and Roman ruins: The Greeks and Romans never made it here; there are no Greek and Roman ruins; 1649 is very old by US standards, though not by European standards. There are three airports nearby, with Baltimore Washington International (closest, 30 minutes’ drive) and Dulles (60 minutes’ drive) being the primary international airports, but Washington Reagan National airport is also close (50 minutes drive). Airport shuttles can get you from all three airports to Annapolis; taxis are more expensive; there is no airport to Annapolis train service. You can also fly via New York, and take the train to Baltimore (2.5 hours). While development has taken place outside the old downtown, everything you will need is close by. 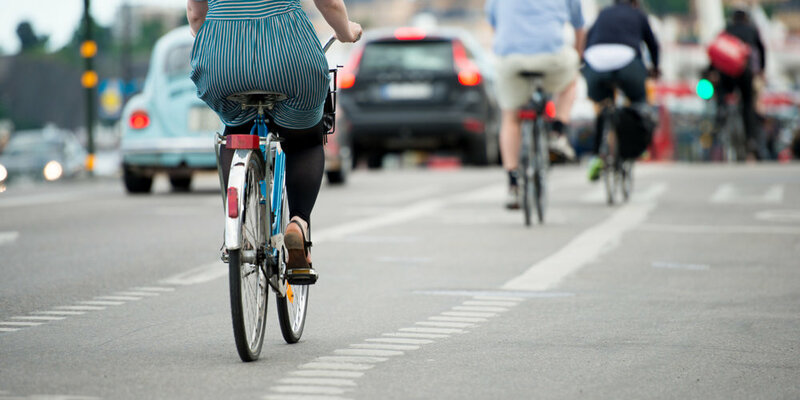 You can cycle or even walk from the sailing clubs to downtown Annapolis (and bed and breakfasts and some hotels), or take the water Taxi or City buses. There is no cycling-specific infrastructure but downtown Annapolis is single lane roads with 25-30 mph (40-50 kph) speed limits, not appropriate for novice cyclists, but fine for anyone used to riding on roads with cars. Bring a bicycle and a lock. We’ll probably find time to do a group ride for everyone interested. The closest location for Bike Rentals is Annapolis Velo (Road, mountain bikes). The US Naval Academy is on the Annapolis side of Spa Creek, facing SSA. It is open to visitors with a valid ID. Acceptable IDs include drivers's licenses for US citizens and passports for international visitors. Walking to and around the Naval Academy provides a great view of the water and a look into the day in the life of a midshipmen. Cars and bikes are not permitted on the grounds of the Naval Academy. The historic Annapolis downtown is a tourist mecca, full of restaurants, bars/taverns, galleries, T-shirt stores and more. This is a ten minute walk from SSA/EYC or a short water taxi ride from the EYC dock. The City Dock portion, on the old port area, is full of restaurants, bars, and stores. For those who want to get out on the water to explore the area when not racing, check out the Schooner Woodwind I & II docked at City Dock adjacent to Pusser's Bar in the Annapolis Waterfront Hotel. Watermark cruises have several boating excursions a day that depart from City Dock to explore the Severn River and Chesapeake Bay. Kayaks, canoes and paddleboards are available for rent for those who want to explore the waters at their own pace. There is also a “pirate ship” cruise for kids. 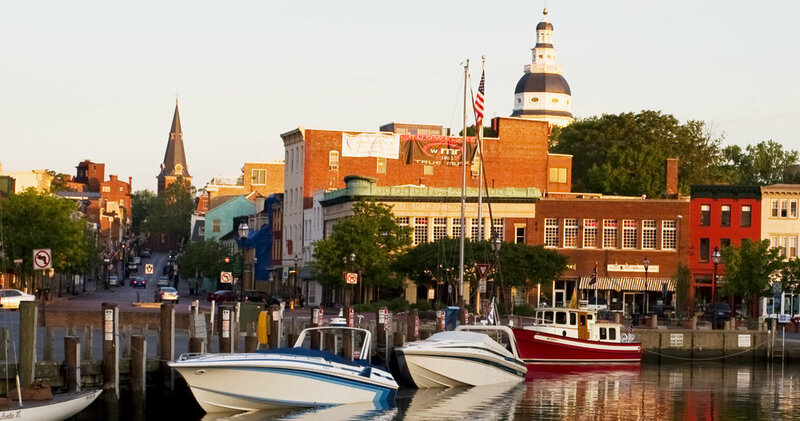 For more ways to explore Annapolis by water visit visit here.